Its official! Fairy Tail’s much awaited final season, the one promised by mangaka and creator Hiro Mashima, will be coming in the Fall of this very year, 2018. The announcement and confirmation came via Mashima’s own official twitter account, where he tweeted not just in Japanese, but also in English (Both Tweets shown below). Mashima also added that his next manga series would begin serialization in Weekly Shonen Magazine on June 27th of this year. Fairy Tail’s last anime series ended in 2016, having run an impressive 102 episodes. As I noted in my final episode post on the series, the show ended on a pretty weird point. 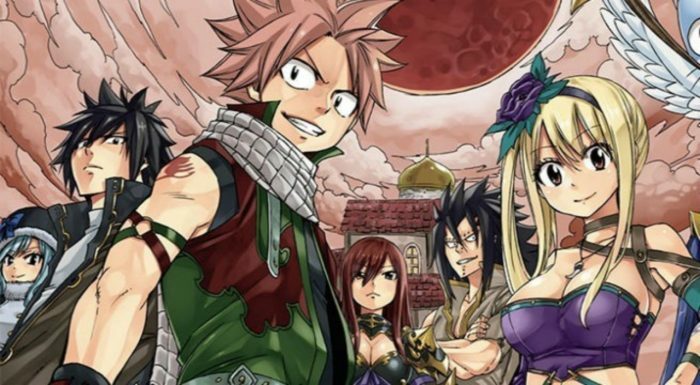 Ever since then, excitement has been high for the final season of Fairy Tail, which promises to not only finish off the story, but have Hiro Mashima himself be pretty involved in the production itself. Its worth noting that last year did see the release of the Fairy Tail franchise’s second animated feature film “Dragon Cry”, which you can learn more about in our review for the movie. Speaking of which, we also covered the first two Fairy Tail series week for week in an episode blog format, so if you’re looking to reorient yourself before the final season, feel free to check those out as well. Personally, I can’t wait to have Fairy Tail back and to see how the story concludes. I’ve managed to keep myself from reading the manga, and now it seems like the long wait will be definitely worth it. As such, please avoid spoiling anything that hasn’t been animated as of yet. As always, Anime Evo will keep you posted on any updates relating to the new and final Fairy Tail season, as they become available.